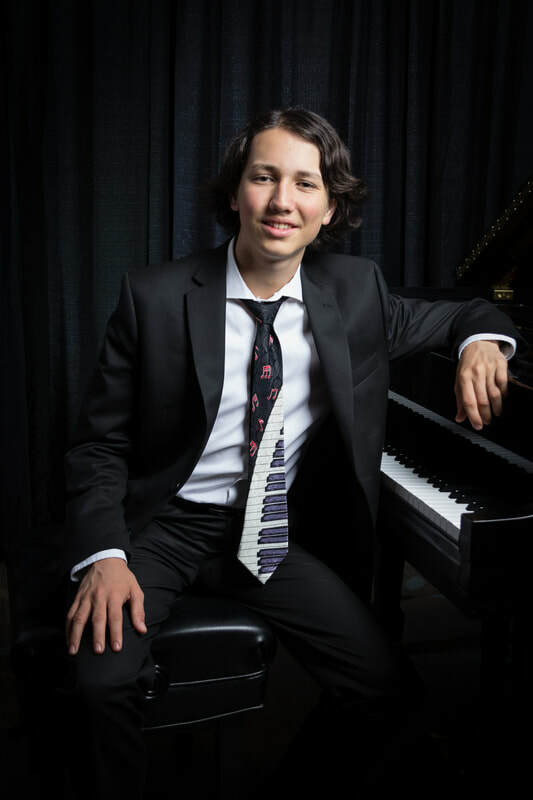 Pianist Diego Bustamante is an active performer throughout California, appearing at various recitals, concerts, and festivals. In 2017, he performed the first movement of Mozart’s Piano Concerto #20 in D Minor with the North State Symphony, an honor that he received when he won their Young Artist’s Audition the previous year. In 2015, he played in the Music Teachers' Association of California's Piano Panel Honors Recital, which features young pianists selected through a statewide audition process. He also was a first place winner in the 2016 Classical Masters Music Festival Competition. Diego has been studying piano for 11 years. From 2009-2017, he studied under the direction of Dr. Robert Bowman. Now, he studies at the University of the Pacific Conservatory of Music, under the direction of Frank Wiens, working toward a bachelor's in piano performance. At Pacific, he recently performed in the Conservatory Honors Recital, featuring a handful of Pacific’s top music students selected through an audition process. This year, he was the only first-year performer to receive this honor. Diego is from the town of Paradise, California in the Sierra Nevada foothills, about 80 miles north of Sacramento. His Northern California appearances range from playing for the homeless shelter in Chico, to benefit concerts, student recitals, solo recitals, and soloing with the local symphonies. Aside from his love of music, Diego loves nature and is an avid birder.